When water starts to leak through your basement walls or floors, it can quickly lead to a very serious flood in your home. Rod Martin's Complete Basement Systems understands how all different types of basement leaks are caused, which is why we provide a variety of repair products and techniques to handle every source of wall and floor leaks. To get a free estimate on basement leaking solutions and crack repair services, call us at 1-844-241-2961 or click below! We offer basement crack repair and basement waterproofing in Aurora, Colorado Springs, Denver and throughout Colorado. One of the more perplexing issues that homeowners face with their wet basement is the challenge of stopping water from rising up through their basement floor. 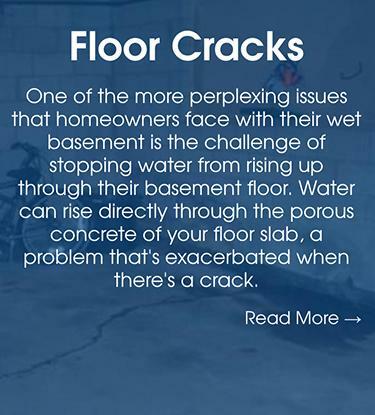 Water can rise directly through the porous concrete of your floor slab, a problem that's exacerbated when there's a crack. Basement windows are most often made using inexpensive steel or wood frames. As these materials age, they will begin to break down, showing signs of rust, corrosion, and decay. 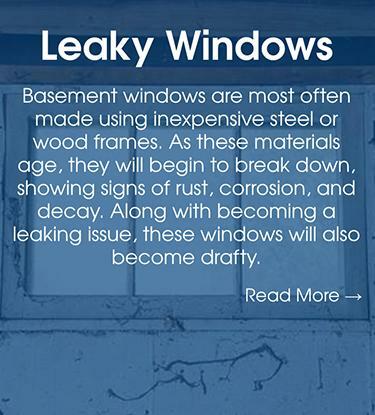 Along with becoming a leaking issue, these windows will also become drafty. 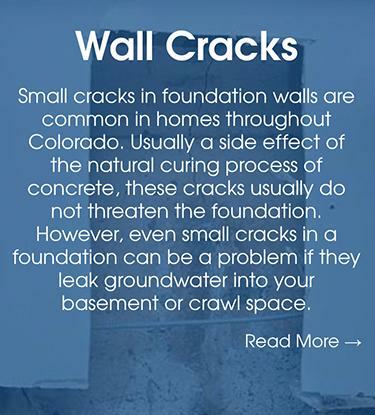 Small cracks in foundation walls are common in homes throughout Colorado. Usually a side effect of the natural curing process of concrete, these cracks usually do not threaten the foundation. However, even small cracks in a foundation can be a problem if they leak groundwater into your basement or crawl space. At Rod Martin's Complete Basement Systems, we install only the best sump pump systems available anywhere in the Colorado area. We have an answer to clogging sump pumps, power failures, torrential rainfall, and much more! Call the basement waterproofing experts at Rod Martin's Complete Basement Systems today to get started on your crack repair with a free estimate. We offer all our services in Colorado Springs, Denver, Aurora, Fort Collins, Thornton, Arvada, Westminster, Boulder, Greeley, Longmont and throughout the surrounding areas. Our team of expert design specialists are available to help you every step of the way with your project.